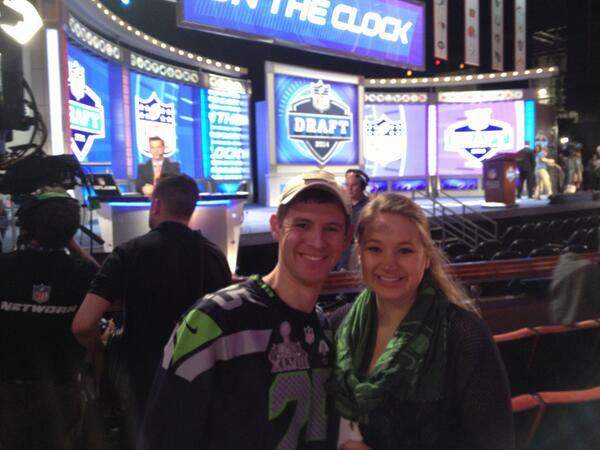 After his trip to New York City to assist the Seahawks with announcing the team’s fourth round draft picks, Sgt. Jeff Baker joins the show to talk about the experience of a lifetime. Originally scheduled to announce the final pick of the round, he found himself in position to be able to take three picks to the podium. Listen in to find out which one of those picks may have been difficult to deliver. Baker also talks briefly about his experience overseas that led to his Purple Heart.